You’ve been hearing the buzzword a lot lately, and it’s not without good reason. Local SEO isn’t one of those “shiny new object” tactics you can afford to ignore. Without local SEO, you may as well hang up a sign that reads, “closed for business.” Okay, that’s a little extreme, I’ll admit. But without Local SEO, your business can suffer from serious revenue loss, especially as we head into the holiday shopping season. If you don’t know how your business appears online, take a minute and make a quick search for your business in Google. Then get your online listings report by clicking here. Local SEO is one of the best ways to promote your business online because it places your business, your products and services when and where local customers are looking for them. A classic example is – Shoe repair near me or Mexican restaurant near me. According to Business to Community, 60% of American adults use smartphones and tablets to search for local product and service information. Mobile First Indexing: Google has started implementing something called Mobile First Indexing when deciding where to rank websites. Mobile First Indexing is when a website has both Desktop and Mobile version, Google spiders will rank websites with a mobile version before those without. SEO has been previously heavily based on what people type. Now people are beginning to search using voice assistants (Apple’s Siri, Amazon’s Alexa, Microsoft’s Cortana, Google’s Ok Google). This means language used by searchers differ from typing (optimize for conversational content). Whereas, on a typical search (typed), people might search nail salons which is then auto-populated with nearby nail salons. When using voice search, it might be more like – Siri, where is the best nail salon that does acrylics (near me/close to me/ around here/ close to house). Knowing this, your website is now more important than ever! According to Search Engine Watch, Google voice queries is up 35x over 2008. Local search is becoming more and more important for small businesses to compete and survive. Customers want information at their fingertips. If you can’t provide that information consistently, you’re losing customers to your competition which means losing money. 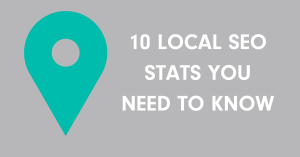 So, what are some steps you can take to implement local search for your business? Check your local listings for consistency and completeness across all directories. Monitor your traffic and conversion resulting from your local listings and reviews.